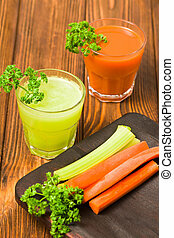 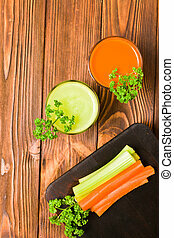 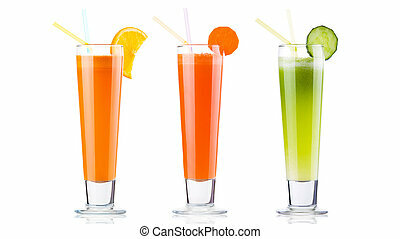 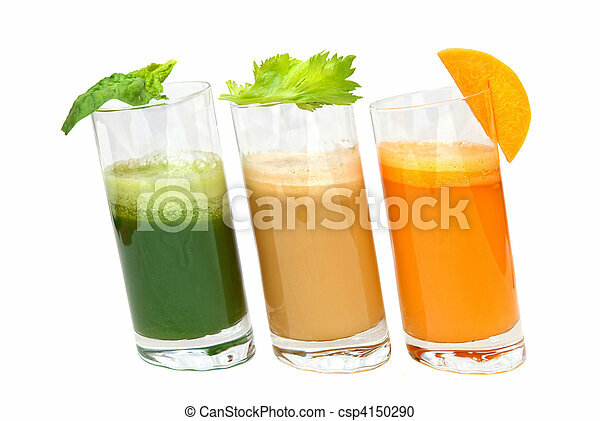 Fresh juices from carrot, celery and parsley in glasses isolated on white. 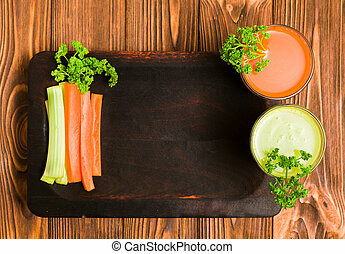 Carrot and celery juice in glasses with cut fresh vegetables and green parsley leaves on kitchen board on wooden background - top view of fresh raw healthy organic vegetarian food. 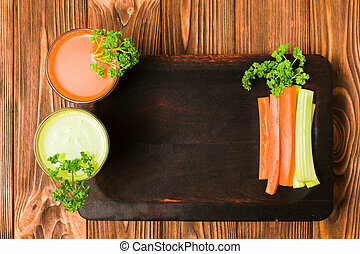 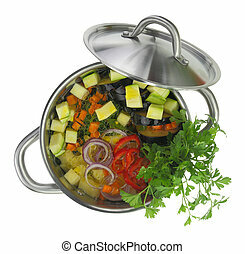 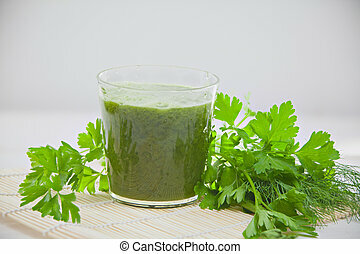 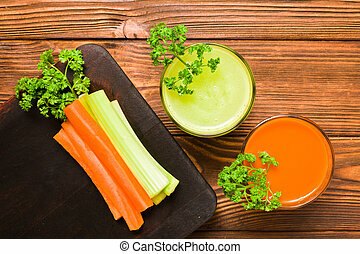 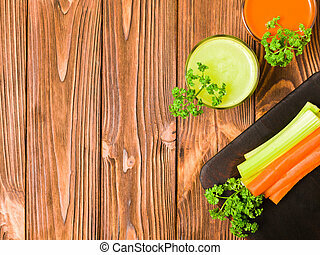 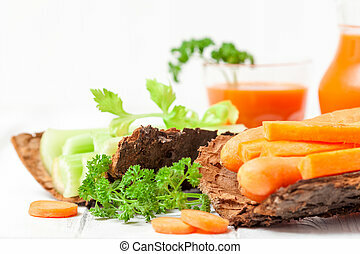 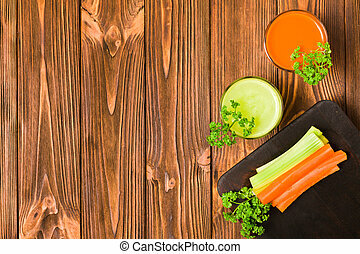 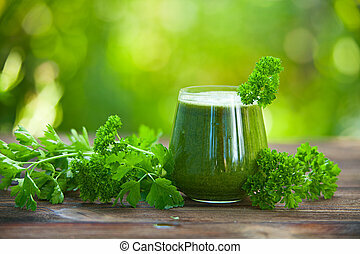 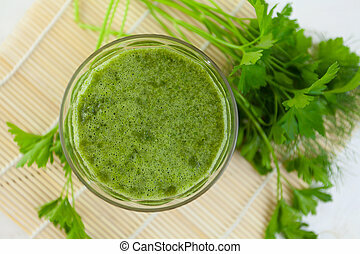 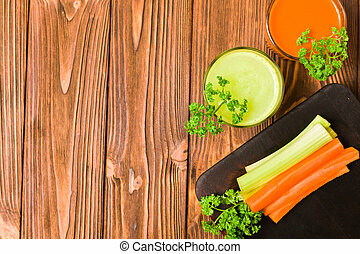 Carrot and celery juice in glasses with cut fresh vegetables and green parsley leaves on kitchen board with copy space on wooden background - top view of fresh raw healthy organic vegetarian food. 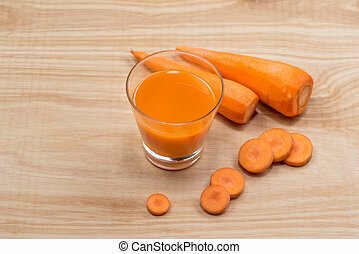 Fresh carrot juice in glass on wooden table.